Published by Focal Press, 2017. Second edition. 9 x 9 inches. Full color. 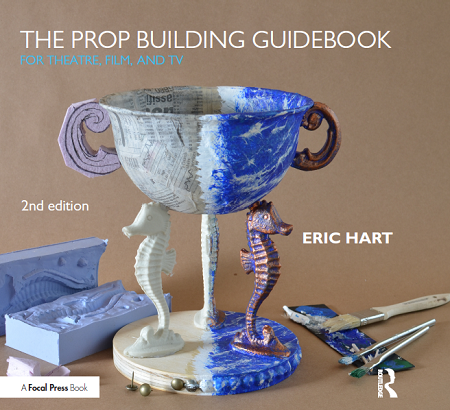 The second edition of The Prop Building Guidebook is now available. Experienced prop maker Eric Hart walks readers through techniques used in historical and contemporary prop making and demonstrates how to apply them to a variety of materials. Hundreds of full-color photographs illustrate the tools and techniques used by professional prop makers throughout the entertainment industry.